Kommst Du mit zur Bay? 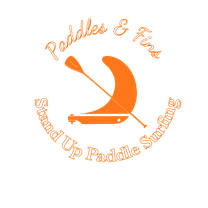 - Stand Up Paddling in Flensburg, Schleswig & Umgebung! Kommst Du mit zur Bay? "Kommst Du mit zur Bay? ", so wird es demnächst heißen. 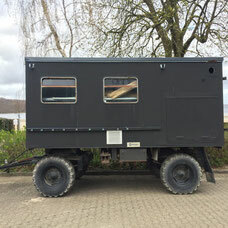 Was im Moment noch aussieht wie die Zentrale des A-Teams, wird schon in Kürze der neue "Place de Rencontre" an der Flensburger Förde sein. In der Wasserslebener Bucht bieten eröffnen wir im Mai unsere neue Basis mit SUP-Verleih, Beachbar (so richtig mit Liegestühlen, Sandstrand und ab ins Meer wenn´s zu heiß ist), Beachvolleyball, Strandspielen, vielen feinen Events, Fußball-EM, Olympischen Spielen und so vielem mehr! Sind wir doch mal ehrlich: Wir wollten nicht noch so ein Beach-Irgendwas sein. Wir sind eine SUPstation an der Wasserslebener Bucht (engl. Bay). Wir sind kein Club. Aber wir haben eine Beachbar wie Sie sich jeder wünscht, der unsere Strände hier oben kennt. Füße im Sand, kühler Drink in der Hand, Blick auf Meer. Chillige Musik im Hintergrund, ab und an eine Liveband! Jederzeit aber gute Laune und entspannte Atmosphäre statt Schickimicki. Wir hoffen "Kommst mit zur Bay" wird bald zu einem geflügelten Begriff in Flensburg und Umgebung. I just like the helpful information you supply on your articles. I'll bookmark your weblog and take a look at once more here frequently. I'm fairly sure I'll be told a lot of new stuff right here! Best of luck for the next! Hello, Neat post. There's an issue together with your website in internet explorer, could check this? IE nonetheless is the marketplace chief and a huge component of folks will pass over your wonderful writing due to this problem. Wow! After all I got a weblog from where I be able to truly take helpful information regarding my study and knowledge. Hi! Quick question that's completely off topic. Do you know how to make your site mobile friendly? My site looks weird when viewing from my iphone 4. I'm trying to find a theme or plugin that might be able to correct this problem. If you have any recommendations, please share. Cheers! I'm impressed, I must say. Seldom do I come across a blog that's both educative and entertaining, and without a doubt, you have hit the nail on the head. The problem is something that not enough men and women are speaking intelligently about. Now i'm very happy I came across this during my hunt for something regarding this. hey there and thank you for your info � I've definitely picked up something new from right here. I did however expertise some technical points using this web site, since I experienced to reload the site a lot of times previous to I could get it to load properly. I had been wondering if your web host is OK? Not that I am complaining, but slow loading instances times will often affect your placement in google and can damage your quality score if ads and marketing with Adwords. Well I am adding this RSS to my email and could look out for a lot more of your respective exciting content. Make sure you update this again soon.